I still remember when Hatchimals were first launched in shops back in 2016 and they were selling out everywhere. I left it too late and couldn’t get some in time for Christmas. I was gutted at the time, but I think my kids were too young to really appreciate them back then anyway. But it was Poppy’s birthday on Thursday and in addition to her presents I decided to get her and Marty a Hatchimal each because I knew they’d love the hatching process. 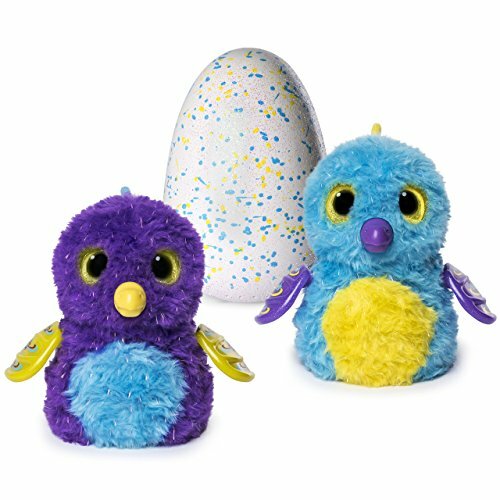 In case you have been living under a rock for the past few years, Hatchimals are robotic furry animals, creatures, birds, whatever you want to call them, that arrive in eggs and ‘hatch’ in a very fun and interactive way for children. They respond to touch, sound and motion. Hatchimals are sold in a variety of ‘breeds’ or types, as you’ll see below. They’re interactive both inside and outside of the egg and they evolve, learn and advance through growth stages. When my kids first saw the boxes containing the Hatchimal eggs their faces lit up with intrigue and wonder, and that alone assured me that I had made the right decision in purchasing them. They couldn’t wait to open them, and I couldn’t either to be quite honest. I quickly ripped the boxes open and handed an egg to Poppy, and an egg to Marty. I didn’t really know what to expect next, and like a true man I didn’t bother to read any instructions. And suddenly, from inside these sparkly and wondrous eggs, we began to hear noises. Cute noises. Yawning. Mumbling. Sighing. Noises you expect from a cute little baby that fill your heart with joy. The kids faces lit up, and their level of wonder and intrigue reached heights I can only dream of experiencing again as an adult. They were so happy, and that made me so happy. I told them you have to look after the egg and make the baby feel safe for them to come out, so both Poppy and Marty began cuddling and kissing their eggs. They’re so kind and caring. For around 15 or 20 minutes both of them kept tight hold of their eggs, just listening to them, kissing them, cuddling them, holding them close and looking after their new little friend so that they’d come out and say hello. And then their Hatchimals started pecking at the egg. Slowly but surely the Hatchimal pecked away at the egg until they were greeted with the biggest, most excited smiles on the outside. Poppy and Marty were overjoyed. It was brilliant. It was a lovely, cute and fun experience. I’m really happy I bought them. Are Hatchimals Worth the Money? Well, that depends what you’re expecting from your Hatchimal really. I think the most fascinating and fun part is the actual hatching process. That provides all of the cuteness, intrigue and excitement for kids. They hear cute noises and see movements and lights coming from the inside of the egg and wonder what is going to come out of the egg, and when. But after that? Some kids will continue playing with them, and others won’t. But I’d say they’re worth the money just for the hatching part alone. My kids absolutely LOVED it. If you’d like to buy some Hatchimals for your own kids, you can buy them at a variety of shops as well as online. I got my glittering garden Hatchimals from Amazon. You can also buy them at Argos, Tesco, ASDA, Toys R Us, Smyths and Very. But they’re cheaper on Amazon. I saved a respectable £37 on them thanks to Amazon – yippee! 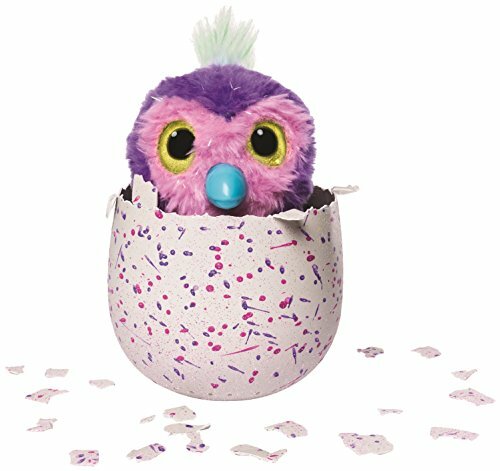 How long does it take for Hatchimals to hatch? It can take up to 45 minutes for a Hatchimal to start pecking out of its egg, but this depends on how you handle them. Hold them, tilt them, pat them and talk to them to hurry along the process. Sit them on a flat surface when they start hatching. That depends entirely on where you purchase them. On the high street and at most online retailers you can expect to pay between £50 and £65. Buy on Amazon to save money.